– ALS, Mentor, OH July 26, 1879 to Mrs. Francis Lieber on the front and back of a single 4to sheet of House of Representatives letterhead. 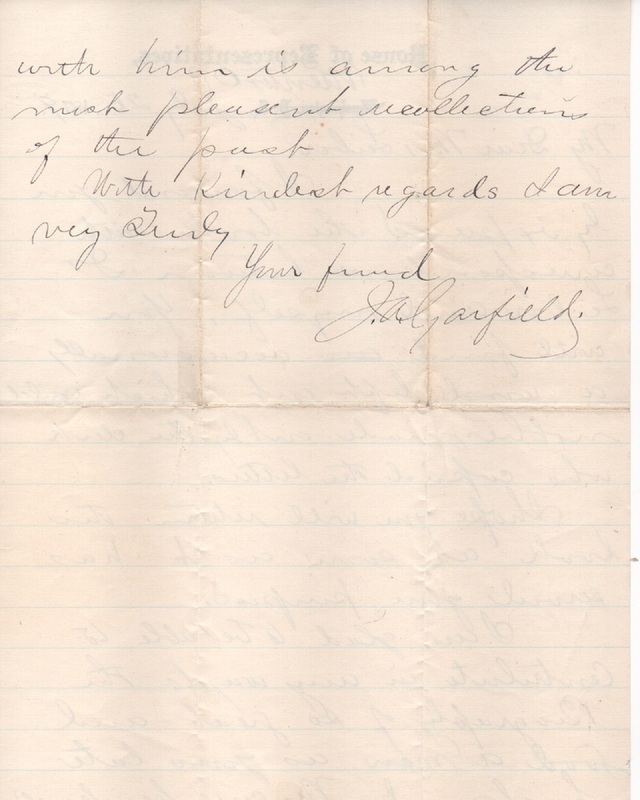 Garfield sends a copy of his correspondence with her late husband for a biography. In part: “I am glad to be able to contribute in any way to the Biography of so great and good a man as your late husband. 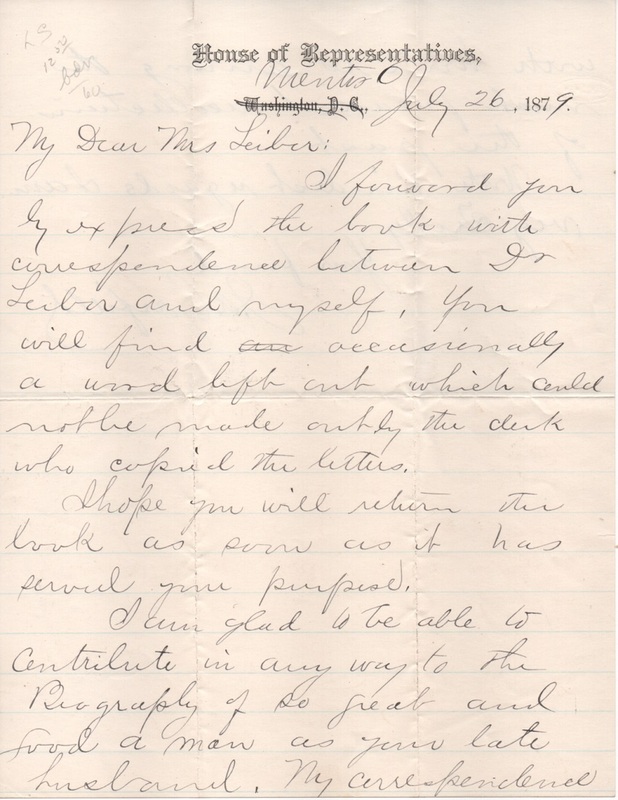 My correspondence with him is among the most pleasant recollections of the past.” Included is a reprint of the 1882 book The Life and Letters of Francis Lieber edited by Thomas Sargent Perry done in consultation with Mrs. Lieber. Dr. Francis Lieber was one of the leading political philosophers of 19th Century America. Garfield and Lieber had a long-running relationship that included over 100 letters from Garfield. The book includes some of the letters between the two men.